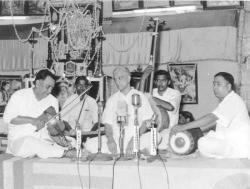 When G.N.Balasubramaniam (GNB) captured the throne as the Prince Charming of carnatic music, he eclipsed almost all the established vocalists of that time. Such was the magic of his rare, racy and vibrant voice and his inimitable style of singing, that he became the darling of music-lovers in a flash. Naturally it rocked the boat of the old system. So they decided to strike back by spreading a canard that GNB’s music lacked the “sruti” unison. It was a sort of “FUD” factor told repeatedly to inject a virus-like stigma across the music world. As any such malignant virus, it worked to a certain extent. But the ardent fans of GNB did not mind such glitches, even if they existed! 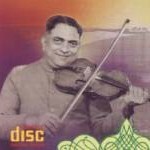 Mysore T.Chowdiah, one of the greatest violinists of his time had accompanied GNB in many concerts. In one of the concerts at Mysore, he challenges those evil folks to come and listen to GNB and point out where he had swerved from sruti. He virtually throws down the gauntlet by implying that whoever spread such canard did so because of their inability to reach the heights in carnatic music that the great GNB has touched – ”தன் கையால ஆகாதபோனா இன்னொருத்தரை சொல்லகூடாது யாரும்”! I am podcasting the whole song in raga Pantuvarali here. 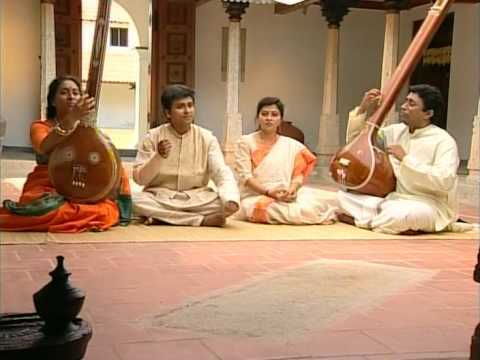 Chowdiah’s challenge follows immediately after GNB’s rendering of the raga alapana. He speaks in Tamil about GNB, but then makes a few remarks in Kannada too. Thanks for the uploading the song. I could not understand all the words (tamil/kannada) spoken. If you did, can you kindly post them? Chills down my spine! A Pantuvaraali most sublime. Please may I have a copy of this recording as an .mp3? The quality of music was different from what was dished out .This is not to suggest that the music of others was inferior.But the sheer presentation was so electric coming from a human voice that it was difficult for many to appreciate thus resorting to criticisms. What a combination.The genius of a vocalist and violinist unmatched . Do unto others what they would do unto you, before they get a chance.